Designed by Carolyn Kinder International, the Castorano Marble lamp has a scalloped profile with a white marble finish accented with polished nickel-plated details. The tapered round hardback drum shade is a white linen fabric with natural slubbing. Available to trade professionals at Uttermost.com. 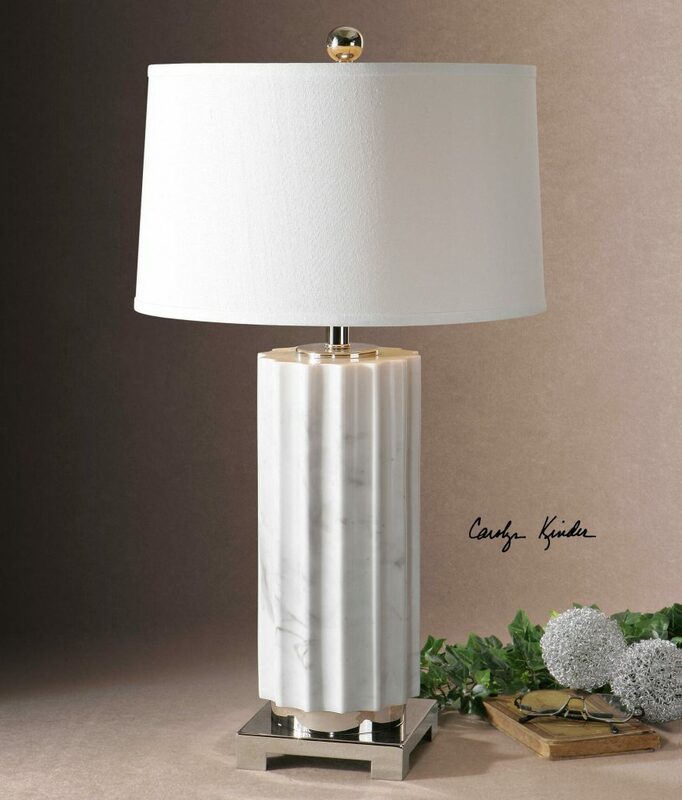 For retail purchase Google keyword “Carolyn Kinder Castorano Marble Lamp”.